I gues it's been a little more than a year now since I happily blogged the arrival of Pownce, a flashy new microblogging tool that would heat up competition for Twitter and Jaiku (before it got assimilated by Google). In my twittergroup it kinda hyped and everyone was screaming for invites. Why? Robert Scoble (Scobleizer) is on it as well. The early signs were promising, but over the weekend Pownce saw an onrush of new users resulting in scalability and stability problems. The slick looking Adobe AIR driven client crashed several times. 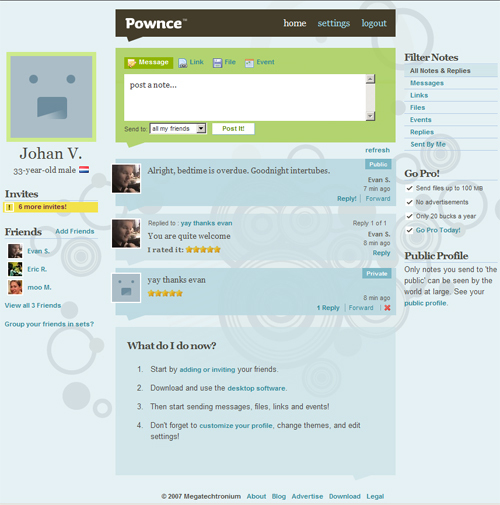 We are sad to announce that Pownce is shutting down on December 15,2008. As of today, Pownce will no longer be accepting new users or newpro accounts. To help with your transition, we have built an export tool so you cansave your content. You can find the export tool at Settings > Export. Please export your content by December 15, 2008, as the site will not be accessible after this date. I still think it wins 99 out of a 100 times over Twitter when it comes to presentation and when it comes to functionality, I guess it may still beat the crap out of Twitter. 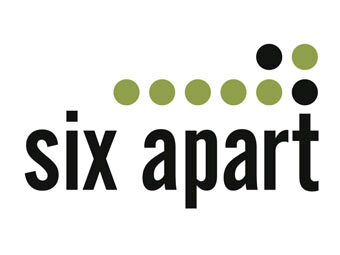 So when it tops Twitter, why did Six Apart tear it apart? Why did the curtain fall? Did the Credit Crunch, or Techcrunch, or whatever you want to call it dry up the wells of green and caused the bailout? Perhaps that may have been the final pushover, but let's face it. It lost competition to an inferior platform, just like Philips' Video 2000 and Sony's Betamax lost to the lousy VHS back in the 80's in a fierce format war. Pownce wasn't stable yet, as the initial review showed. It crashed. But that isn't uncommon. I regularly get the message that the "Technorati monster escaped" or twitter hiccups. Seems like it comes as a standard feature of services like these. That didn't kill Pownce. It's the buzz that did, rather the lack off. I liked it better than Twitter, but rarely used Pownce simply because all my friends were on Twitter. Twitter aleady had the crowd, and though better, it wasn't good enough to start another tiresome tribal migration from one community to the other and rebuild your contact list. Twitter is sustainable by sheer numbers only. Pownce would have needed an ecosystem to support it, a tie in with social networking sites in which is messaging capacities could be leveraged. It could have been done, as Six Apart is one of the prime ecosystem contributors for LinkedIn for example. I guess that's settled than, one less account to worry about, one place that holds yet another part of my digital identity, my humoungous digital footprint down. Just hope they'll do erase their databases thoroughly and not use it for a new startup. Okay, here's a non SL post again. I've finally gotten into POWNCE! Thanks to Vincent Shore of Squawknest. Pownce is still in Alpha, but looks like it's gonna be the next big thing. Pownce is a way to send stuff to your friends. What kind of stuff? You can send just about anything: music, photos, messages, links, events, and more. You can do it all through the web site, or install the desktop software that lets you get out of the browserbox. The other thing that's taking up some of my time is Facebook. 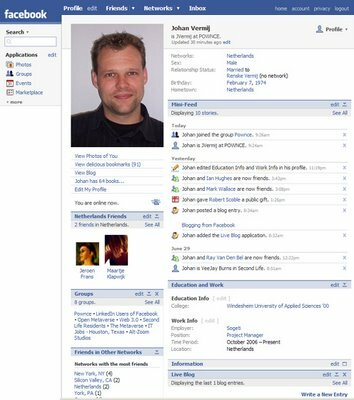 It's originally a Harvard Who's Who but is rapidly expanding and replacing myspace in some ways. "Facebook isn't about college stuff anymore. I have no college network and enjoy the software as an organizational tool. " If you'd like to know more, Danah Boyd wrote an excellent article on Facebook. Finally, it seems like every US based friend I have on twitter has been suckered into the iPhone craze. Again, I'd have to admit it looks slick but I wouldn't buy one immediately --luckily it isn't available in Europe yet, so I'll have time to see how it develops. It seems heavily overhyped at the moment in my opinion, though Steve did a good Job on fuelling it by stating that there might not be enough iPhone's available. If you're reading this blog, could you tell me if you've bought one? Finally, if you'd like to know more on iPhone or Pownce I'd recommend you'd visit Scobleizer's page at FastCompany magazine. Todays bloglinks give you an excellent overview on these apps / sites. His current column is titled The New Web War. "Perhaps the hottest debate in my circle today centers around the technologies we'll use inside, or outside, the browser to build a new kind of rich Internet application. We're talking mostly about video, because that's where the action is." Part of his column is on Adobe's Apollo platform which is used for Pownce as well. 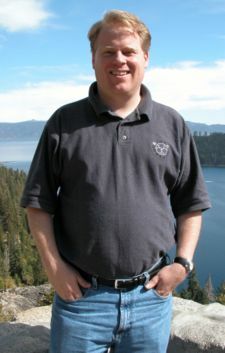 Robert Scoble is one of the leading ubergeek bloggers. Scoble is best known for his popular blog, Scobleizer, which came to prominence during his tenure as a technical evangelist at Microsoft. So, again Web 2.0 which should be about integration is getting diversificated again.